A Complete Energy Management System. 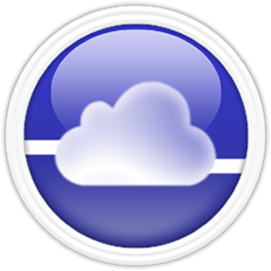 Simple to configure using your Web Browser, Smartphone, or Tablet. 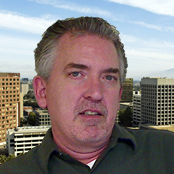 Personalize your view of the system by importing photos or graphical images. Easily and securely connect building systems to the cloud over your existing 802.11 Wi-Fi network. 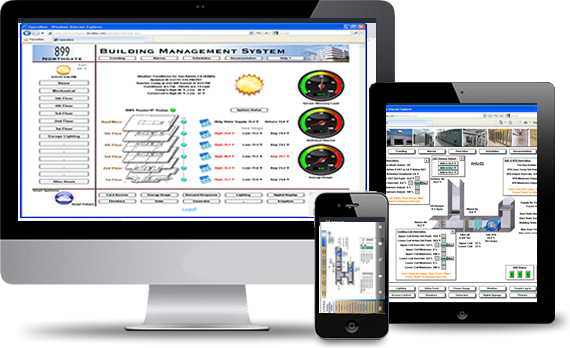 Monitor and control HVAC units, lighting, and energy meters from anywhere. 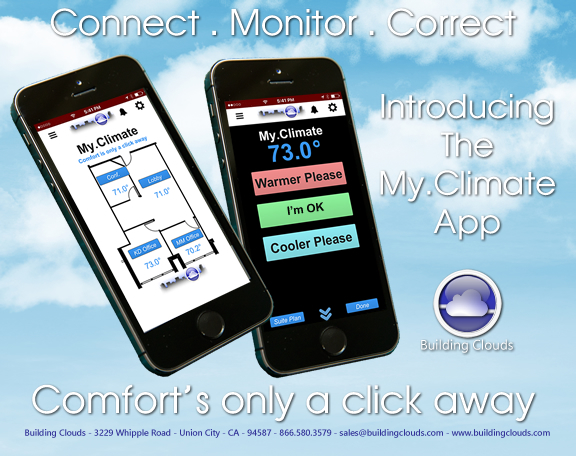 Control your climate with your smartphone, from the comfort of your desk. 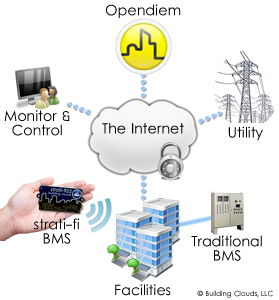 strati-fi™ controllers are designed to run on the Opendiem Energy Management Platform. The small package makes the strati-fi easy to install in tight places. Quickly and securely connect to a wireless network. 802.11b/g/n or cellular. In addition to other BMS devices, connect to and control Modbus devices. 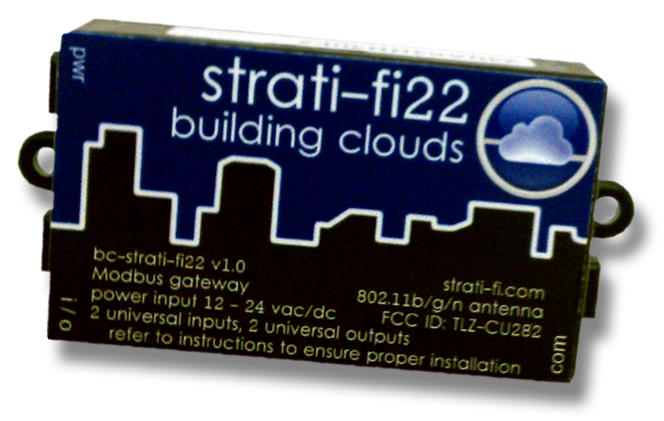 "The strati-fi22 allows us to monitor multiple HVAC systems simultaneously. Installation is very quick and minimally invasive to rooftop equipment. Fault detection and out of specification alerts are sent to email or Smart Phones within minutes." 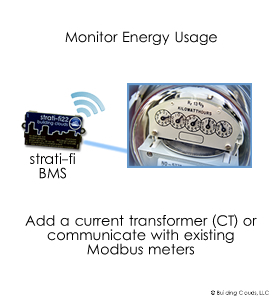 "strati-fi products allow Energy ETC to quickly and affordably build energy management systems for our clients. Getting access to the data our customers need is simple and fast." 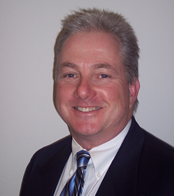 "We developed strati-fi to enable retail franchises, hospitality, and corporate satelite offices to save money. This is a much needed platform for small businesses." 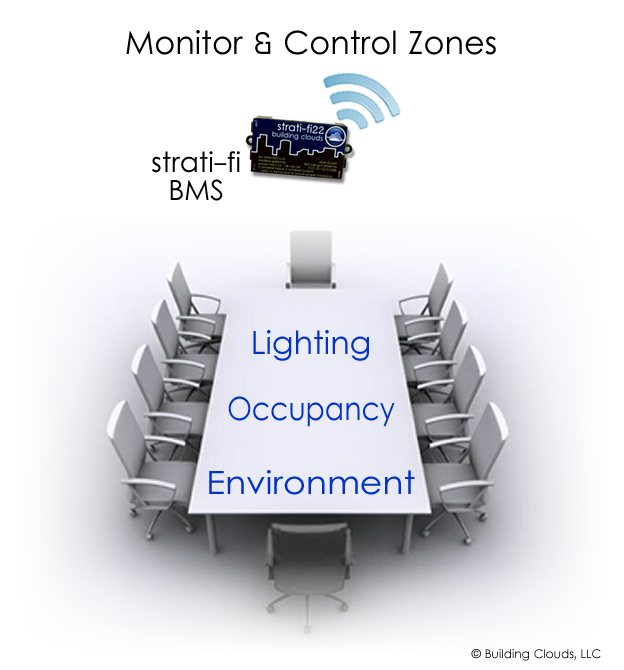 Now Available, wirelessly connect up to 16 remote sensors to the strati-fi platform. Temperature, humidity, pressure, and more. Beta units are shipping now.